The president named his son-in-law as the finance minister in a new cabinet which excludes the man most trusted by investors. That’s a mistake. The self-styled “enemy of interest rates” now has no one to sugercoat policies and rhetoric that are apt to unsettle Turkish assets. 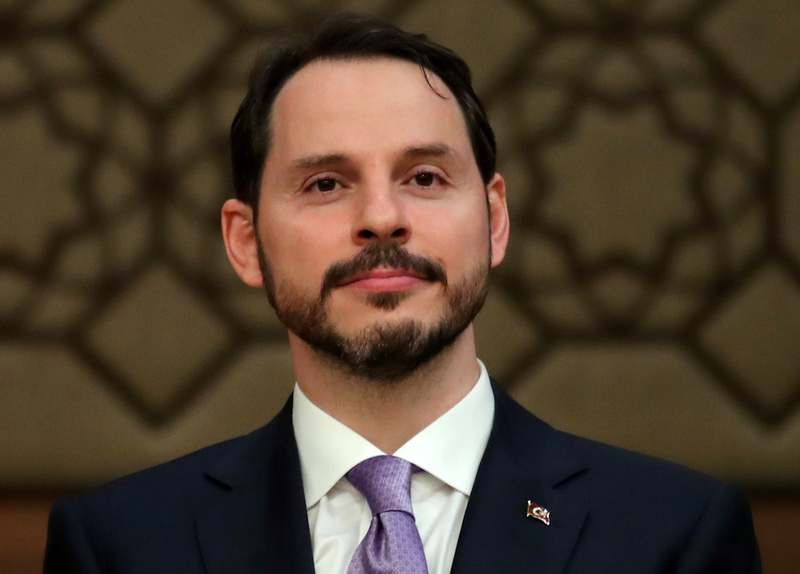 Turkish President Tayyip Erdogan on July 9 appointed his son-in-law, Berat Albayrak, as finance minister. The new cabinet, which was unveiled hours after Erdogan was sworn in with sweeping new executive powers, excluded Mehmet Simsek, a former deputy prime minister who was viewed by investors as the main market-friendly minister in the previous government. A Turkish presidential decree issued on July 9 said the president will appoint the central bank governor, deputies and monetary policy committee members for a four-year period. The lira on July 9 depreciated as far as 4.75 against the dollar, more than 3 percent weaker on the day. It was trading at 4.7145 at 0825 GMT.